If disaster strikes your Clarksburg, Maryland home, you need to call a restoration company you can depend on. That’s why Clarksburg homeowners call RestoreUnow for all of their water damage restoration needs. Already contacted your insurance company about the damage? Not a problem! We will work with your insurance company to ensure your claim goes smoothly. As the property owner, you have the right to hire any water damage company to restore your property that you want. You do not have to use your insurance company's preferred vendor and they cannot deny your claim or not pay because you want to use a contractor of your choice. When it comes to water damage restoration in Clarksburg, we have a very thorough process to restore your property back to pre-loss condition. 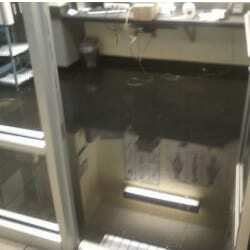 Call RestoreUnow today for emergency water damage service at 301-679-0465. Turn to the restoration professionals that can thoroughly assess and inspect your Clarksburg home for water damage. 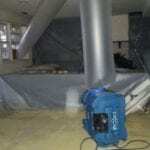 Our extensive experience with water damage remediation is why RestoreUnow is trusted throughout the Clarksburg area. Call us today at 301-679-0465 or contact us online. Now that we know where the water is we begin removing the bulk of the water including any standing water. For large amounts of standing water, we may use water pumps to remove the water from your property quickly. Removing the water as fast as possible helps to prevent any mold or other microbial growth. To extract carpet, tile, and concrete we use our powerful truck mounted extraction equipment with an array of tools for these various flooring surfaces. Removing the bulk water greatly reduces humidity immediately. There are 3 classifications of water that we identify as categories. Category 1 water is simply fresh clean water from a pipe break. Category 2 water can be a number of things from a dishwasher overflow, to water coming from the ceiling down to another level. We consider this type of water slightly contaminated. Category 3 water is considered grossly contaminated and would be water such as sewage backups, and rainwater that backed up from a sump pump or came from the outside. It can also be category 1 or 2 water that has sat for a few days increasing the microbial level. We're trained in how to identify what category of water we're dealing with to make sure we clean any affected areas properly to ensure your safety. We will flush the areas with 200-degree water and at times we will apply an anti-microbial agent. Anti-microbial agents are used to deodorize, sanitize, and prevent mold growth. Children, elderly people, and others with weak immune systems or respiratory problems can get sick from strong chemicals such as antimicrobials. We will advise if any safety precautions are needed. 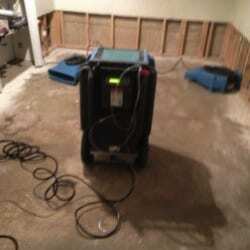 In need of professional water damage remediation and structural drying for your Clarksburg home? Call RestoreUnow today at 301-679-0465. We proudly provide services to Clarksburg, MD, including the following zip codes: 20841, 20871, 20872, 20876. We also provide services to areas such as Olney, MD, and Potomac, MD.